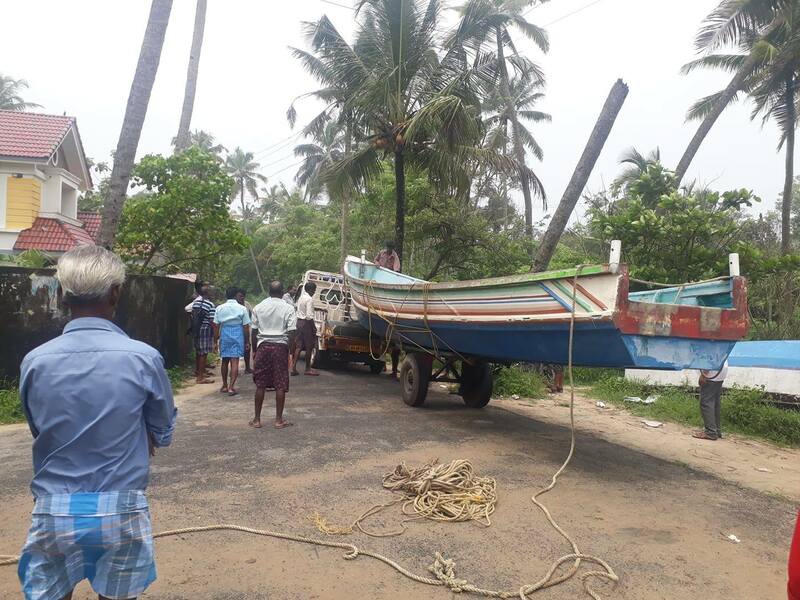 Fishermen, government machinery and the massive network of volunteers played leading roles in the rescue operations in flood-affected Kerala. 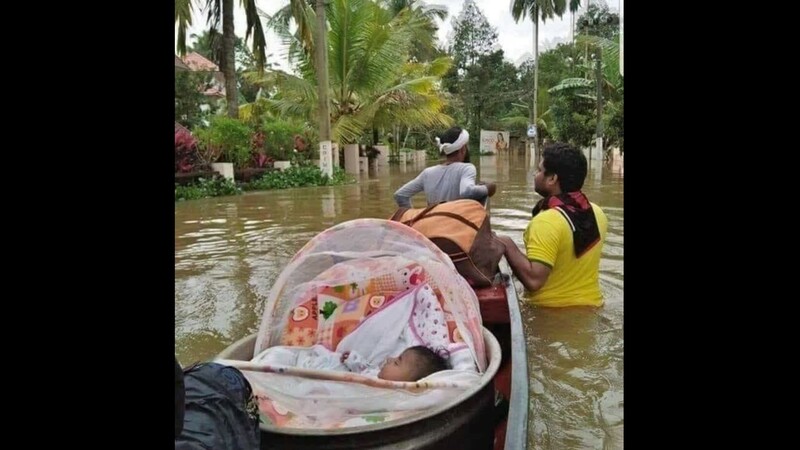 [Joy Sebastian, a software professional who is part of the rescue operations in Kerala's Alappuzha district, writes about the stellar role played by fishermen and volunteers in the flood relief activities in Kuttanad. A major rice-growing region with scenic backwaters, Kuttanad is spread over the Alappuzha and Kottayam districts. Lying below the sea level, the region is prone to floods every year. But this year's floods were of a different order altogether, requiring the evacuation of almost the entire population in several panchayats of the region. Kuttanad and Chengannur will sleep peacefully tonight. Many people from Edathua and Muttar regions remain to be transported to relief camps. Once that is also completed, the mass evacuation of nearly 2 lakh (200,000) people from 7 panchayats within three-and-a-half days will be complete. The weather was extremely adverse, and the currents in the backwaters were heavy. 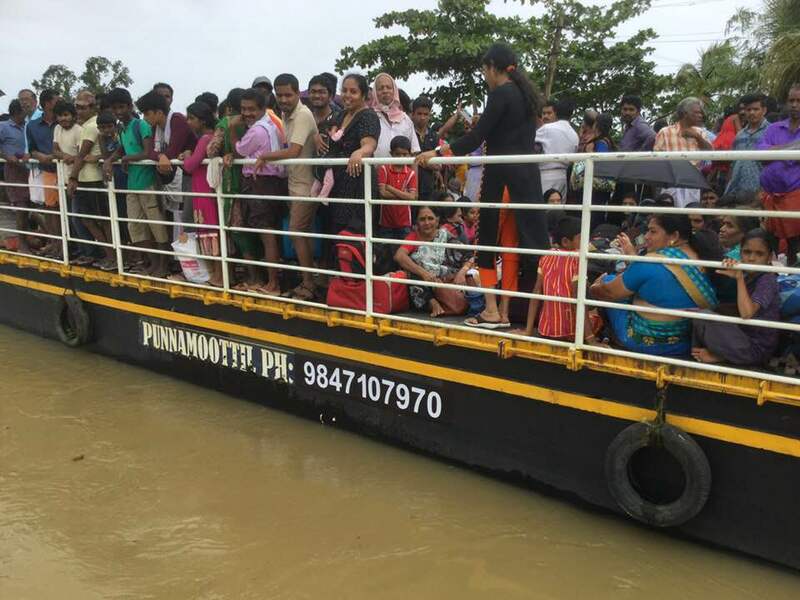 It was in such a situation that the two lakh people, who live on the banks of major backwaters and streams, and in places surrounded by low-lying rice fields, had to be evacuated to safe camps in Alappuzha and nearby regions, along with their beloved domestic animals (livestock). The fact that was done in such a short time period makes it a landmark. Since I was at the control centre in the Alappuzha district collectorate, without access to electronic media reports, the fear that affected many people outside did not affect me. It was when we noticed the massive increase in the phone calls to the control centre yesterday (17 August) night that we realised how far the people had panicked due to the "news" peddled by some media outlets. Again at midnight, another wave of phone calls came following yet some more "news". The claim that navy helicopters were operating at night was the reason behind such calls. I wonder who was behind such fake news. Yes, the visuals of people being airlifted by helicopters from the top of buildings were good to watch. But the real heroes were the common people. I wonder if their visuals are being shown somewhere. They didn't have uniforms. 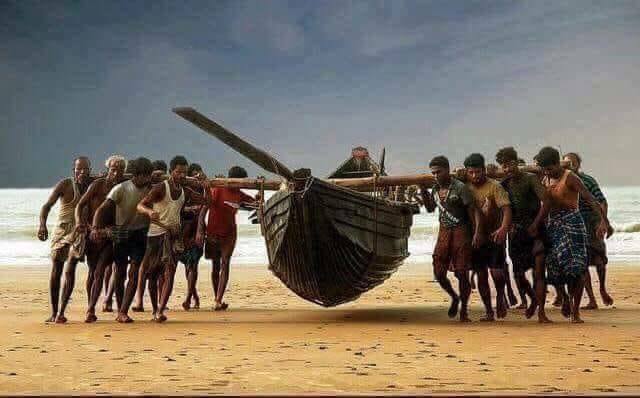 Just the rough power of their boats. They are people who live confronting the waves of the ocean every day. The currents of Kuttanad and Chengannur were nothing for them. Clad in lungis, towels tied around their heads, they took up the challenging task courageously. Once rescue operations ceased at night and everyone came back from the field, a fisherman – about the same age as my father – came to the control room at 10 pm, held my hand and cried, "Son, these officers are not allowing us to go. 15 people are waiting for us at a ghat ("kadavu" in Malayalam) about 10 kilometres away. We have come here after promising them that we'll go back. We are people who work in the sea at night. Please let us go." I jumped up from my seat in sheer astonishment. What a man! Yes, more than 60 per cent of the people were rescued by such poor fishermen. The same poor fishermen who would stand humbly before government officers to buy kerosene after all these efforts. Aren't they our real heroes? The rest of the forty per cent were mostly rescued by the boats of the Water Transport Department, barges and house boats. The number of people who were rescued by the National Disaster Response Force would be in two digits. The navy helicopters would have evacuated about forty people. It is not their fault. Their numbers were simply not sufficient in the context of Kuttanad. I had gone to the Collectorate on Thursday along with my friend, with the idea of finding out about the situation and heading back. Water levels in Kuttanad and Chengannur had only begun to rise then. When we reached there, we saw some 6-7 people attending phone calls. They were SFI (Students' Federation of India) activists from Kayamkulam. We also joined them. In the first hour, there were 10-15 phone calls. But as the hours went by, the phone calls became a torrent. It has been three days since then. It was only by today afternoon that the number of phone calls came down. Tonight after 11, there were only the phone calls of SFI activist Jijo who was with us for all three days, and that of Dhruv who shuttled between the field and the control room all through. I plan to sleep for some time today night. One sorrow remains. At 4 am, somebody had called with information about a grandmother stranded in Mathoor, Ramankari. The rescue workers could only bring back her lifeless body in the evening. I met many energetic youngsters during the course of this work. At the peak of the rescue operations, about 150 of us were there at the control room. With the Can-Alleppey team [which was formed for the campaign to clean Alappuzha's canals], along with many youngsters who were not part of any organisation, also joining us, handling and categorising phone calls and the coordination with rescue workers in the field became much better. So many people worked together to save lives. Several engineers who stayed awake throughout the day and wrote applications to make the data from the SOS app available, IT professionals who sat in different corners of the globe and formatted and categorised data from the SOS app, friends in social media, the innumerable number of people who asked what help we needed through calls and chat messages. The many government officers who considered the volunteers who came from various places an essential part of their own operations. The Finance Minister, who led from the front, the Minister's team, the District collector and Sub-collector. Let me sleep now, with the pride of being the son of a fisherman. READ MORE: "Kerala has Received Widespread Acclaim for its Handling of Dam Systems"